There is a very long list of martial arts movies. There had been so many films released and most of them have gone down in history as real classics. Some of these films are eye-openers in the sense that they introduced the intricacies and discipline of martial arts to the world. Some of them have catapulted some artists to stardom – like Bruce Lee, Jackie Chan, Jet Li, etc. There are movies that have given us a treat in terms of cinematic experience. Choosing the top among them is quite hard. But with a bit of research, here are the top 8 films about martial arts that you should watch. When you think about Bruce Lee, this is the movie that you will think of. Tragically, this movie was released 6 days after the great actor’s death. Although the timing is completely by chance, it nevertheless cemented the actor as a master of martial arts. 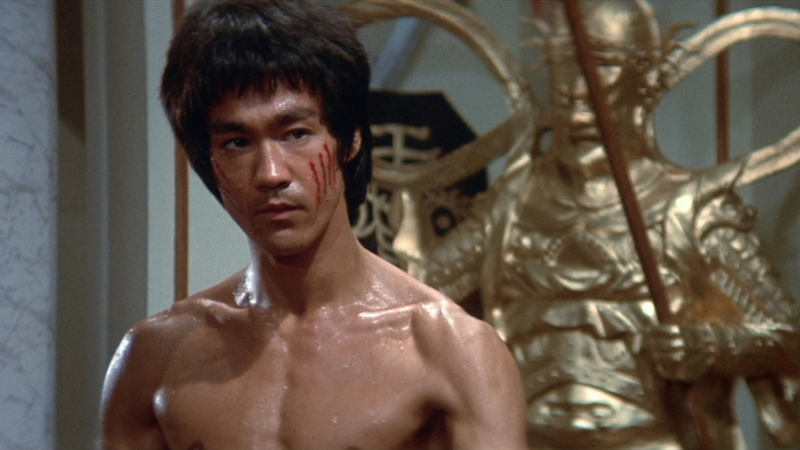 You cannot talk about martial arts movies without mentioning Bruce Lee or Enter the Dragon. This is the first movie produced by a major Hollywood studio and Lee took a hand in rewriting the script. In this film, Lee plays a Shaolin master asked to play an undercover agent by the British Intelligence. He is tasked to enter a martial arts tournament that is believed to be run by a criminal mastermind who runs a drug and prostitution business. Interesting to note that Jackie Chan was one of the stunt men in this movie. In a lot of martial arts movies, this is usually on the top spot. This is the movie that catapulted Jackie Chan to stardom. Before the first movie, Golden Harvest realized that he should not be patterned as Bruce Lee – and true enough, this star was able to carve his own mark in the world of martial arts films. In this movie, Chan plays Huang Fei-hung, a man taught by a drunken beggar the art of drunken kung fu. The second movie surpassed the first in terms of storyline and cinematic battles – and firmly placed Jackie Chan as a Hollywood star. Also known as the Chinese Connection, this movie is Bruce Lee’s second film. Here, he portrays a man who tries to defend the Chinese honor from the dominion of the Japanese. He was also out to avenge the death of his instructor. The movie shows him taking on a Japanese dojo – by himself. By the way, he choreographed that scene himself. This movie is one of the highest-grossing foreign films. The choreography and fight scenes impressed even the most jaded of critics. Directed by Ang Lee, the movie gives the world a view of the wu xia world of the martial arts. The story revolves around a stolen sword (Green Destiny), a Wudang swordsman (Chow Yun-fat), a female warrior (Michelle Yeoh), a treacherous villain in pursuit of the Wudang secrets (Cheng Pei-pei), and a young woman secretly studying the Wudang combative skills (Zhang Zyi). Starring Tony Jaa, this is so far, the only film to feature Thai kickboxing. It includes bone-crunching stunts and attacks. It is reminiscent of the films of Jackie Chan – but without the comedic flair. The story is about a humble peasant in pursuit of city villains who stole the Buddha head of a village. This film is partially based on the true story of how the Shaolin monks rescued the Tang dynasty’s first emperor. This is the cinematic debut of Jet Li – and the first film set in mainland China after the takeover of the Communist. Apart from reinstating the value of the Shaolin Temple, it also helped introduce wushu to martial arts movies. This is another Jackie Chan movie that created a new style of martial arts into the film industry. They call it, the wu du pian. It mixed various martial arts themes with fast-paced choreography and dangerous stunts. What made it even more impressive is the fact that the lead actor, Chan, did not use stunt doubles or any wires. In this film, Chan plays a disgraced cop framed by drug lords. He goes undercover to try and clear his name. This is another film by Jet Li that successfully showcased his fighting prowess. It is a story about two Shaolin Temple pupils played by Jet Li and Chin Siu-hou. They followed different paths that ultimately led them to battle each other. It also stars Michelle Yeoh. These are only some of the martial arts movies that you should watch. If you do not know where to start, these 8 should be a great choice to begin with.